Our efforts to create value in any negotiation will be highly limited if they don’t from a collaborative negotiation approach with our counterpart. We don’t just want to make a shaky agreement with an angry and resentful partner, but to create a relationship that is solid and durable, and benefits everyone. Ideal is if we can leave the table shaking hands, smiling and feeling pleased that we worked together to make the best possible deal for both of us. All too often the natural consequence of competitive negotiating is that one or both sides feel cheated or at least hard done by, and they and their colleagues invest time into figuring out how to live up to the letter but not the spirit of the contract. The result? They claim value at almost every opportunity, stripping the deal of value. So let’s examine several successful and necessary strategies to make this work. Scenario: we know what we want to achieve, as does our counterpart, but we don’t know each other very well. So how do we get the ball rolling? The first step is to build trust through information sharing. This does not mean you should disclose your entire game plan and hope for the best, but rather you must begin slowly to ensure that your counterpart is on the same page and is ready and willing to reciprocate in sharing information. So what is the easiest way to achieve reciprocal sharing of information? Ask and Answer Questions – Neither side can proceed effectively until each begins to fully understand the other, and the only way to begin this process is to ask intelligent questions. We will already have determined the questions we want to ask in our preparatory stage, which should be analytical and problem-solving in nature. One or both parties are likely to have a problem or challenge, and we want to find the best means of addressing this through a mutually attractive solution. Likewise, we are anticipating the questions they will be asking us. The more information each party can glean about the other, the more readily they will be able to find creative solutions that address the needs and objectives of both. A negotiation is not one-sided, and if we expect to receive information, we must also be willing to share it. Reciprocity is the key to successful fact finding, as this is the only way we will be able to find creative solutions that benefit both parties. Multiple Negotiation Issues and Multi-Package Offers/Proposals – Few negotiations revolve around a single issue, and the majority do so around the creation of a partnership that entails multiple issues. A solid partnership must always be based on trust and respect as its cornerstones, even if the only issue concerns negotiating a price. We can always enhance this by focusing on building a durable working relationship, from which both parties continually profit. Issues should be identified and prioritized in the preparation stage, and a larger number of issues will likely increase and enhance the number of resources to be shared, which in turn creates value creating opportunities. One error that many negotiators make is to present or propose a single offer, which can act as an anchor where everything revolves around it because it has such a narrow scope. Talks can easily be affected because there is a limiting attitude in working with a single offer. However, if we present a package containing multiple offers or proposals simultaneously, we are much more able to creatively discuss trade-offs in addressing the issues we face. A multiple negotiation package will enable us to add more value to an agreement because we will be able to compare and distinguish issues when we discuss trade-offs. When more issues are put onto the table, we have more flexibility to negotiate trade-offs such as time preferences, valuations, forecasts and capabilities. We must also resist the temptation to compromise, as this does not yield value and will diminish the resources to be negotiated. We must instead negotiate trade-offs that are of greater relative value to us, or at the very least of equal relative value. Anything less will reduce the value of the agreement. The process of creating value in our negotiations can only occur once both parties adopt the mindset of creative problem solving. If circumstance A happens (if sales exceed this amount), we agree to the following process. If things change and circumstance B occurs (sales fall below a certain amount or within some other range), we agree to this next step. This type of contract can be a multi-tiered structure of many layers and isn’t as easy to manage, but it does allow us greater latitude and flexibility in keeping negotiations moving forward and is a viable means of addressing the differences in negotiation expectations. Many people, including negotiators, are averse to risk. One party will signal their aversion to risk by stating that they are adamant about a certain issue, such as how they might split profits since they have different forecasts. This should not be viewed as an obstacle but rather an opportunity to make a trade-off and gain something in return. Different attitudes about their perceptions of risk should not act as a barrier to an agreement, but should open the door to negotiate a productive trade-off by offering alternatives to enhance value. This concept also applies to differences in time expectations. They may insist on guaranteed delivery on a specific date, and we agree to this by rearranging a payment schedule that is more suitable to us in return. Another effective strategy to employ in adding value is cost cutting, and this occurs when one party achieves an objective while the other has specified costs that are affiliated to their concession either lowered or eradicated altogether. 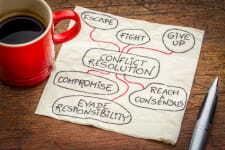 A second means of strategically gaining value is to consider ways to add necessary resources when the problem of scarce resources is creating conflict. Finding another supplier or suggesting a subcontract arrangement with a mutually agreed upon party are just two examples of how to view a difference in opinion as an opportunity rather than a problem. The ways and means of enhancing our negotiations by adding value to our agreements are most readily achieved when we apply creative problem solving. 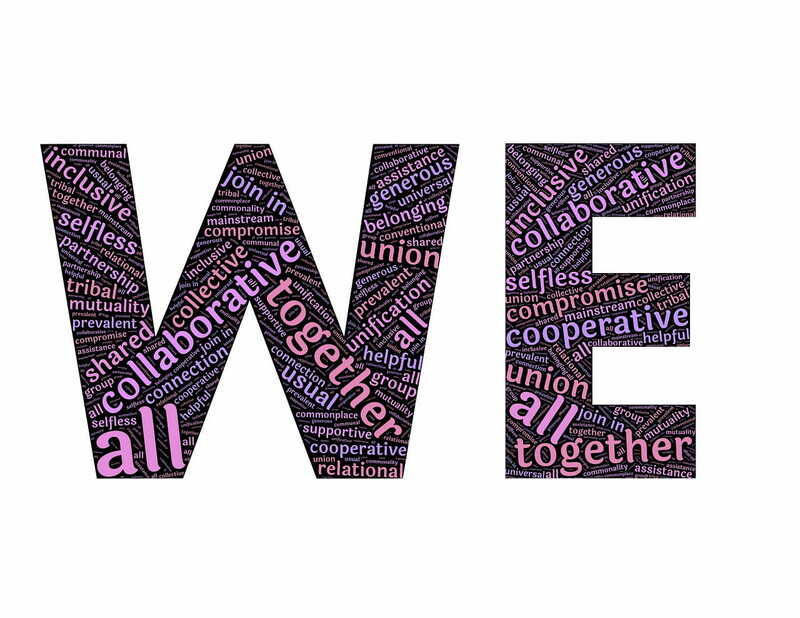 We create value by working collaboratively to use our differences as an opportunity to enhance the scope of the agreement by expanding issues, making multiple offers, constructive trade-offs and contingency agreements, and looking at how we tackle disagreements. Max H. Bazerman, Margaret A. Neale, “Negotiating Rationally”, The Free Press – MacMillian, (1992). Leigh Thompson, “The Heart and Mind of the Negotiator” – 2nd Edition, Prentice Hall Business Publishing, (2001). Jeswald W. Salacuse, “The Global Negotiator” Palgrave MacMillan, (2003). Some gem ideas here, which should be no surprise when you see who&apos;s work the author referenced. Thanks! Learn the building blocks of an effective negotiation relationship.Know when to walk away, and discusses your risk considerations. A practical guide to making, managing, and mending international deals in the modern era.